Do you ever think about how fibromyalgia and blood vessels affect each other? Is there a connection? I often say that fibromyalgia is complex and affects multiple systems in the body. When you think about fibromyalgia, you think about the muscles, joints, tendons, ligaments, GI tract, brain, etc. But do you ever think about your blood vessels and what they are really doing there in your body? And, what does fibromyalgia have to do with your blood vessels and is there a connection? At this point, the most accurate answer to this question is “possibly.” In 2013, a firestorm of controversy was kicked off in the fibromyalgia community due to the release of promising results from a study on the hands of fibromyalgia sufferers. The research was completed by a group of doctors who biopsied tissue from the hands of 24 women with fibromyalgia and nine control subjects. They found that the fibromyalgia sufferers had more sensory nerve fibers at select points of the blood vessels in their palms. Because fibromyalgia affects multiple systems and areas of the body, it is not surprising that fibromyalgia can also affect the blood vessels of the body. What has been missing in the information thus far is the connection to fibromyalgia and trigger points. Also, be sure to read the paragraphs in the middle to last part of this article to learn what you can do to better support your own blood vessels. As you continue to read and follow here in the site, you will see many of the pieces of the fibro puzzle come together. This isn't chasing a false cure, this is addressing the roots and systems of the body that are more vulnerable when living with fibromyalgia. One thing we will never do here is give you false hope or breaking news about some exaggerated headlines regarding fibromyalgia. That is exactly what happened a few years ago as research was simply being conducted on fibromyalgia and blood vessels. We always look at the body as a whole. Trigger points are different than the standard 11-18 tender points found on the fibro body of a person living with fibromyalgia. Tender areas involve soft tissue areas of the body and do not radiate the same way that trigger points do. They can however “interplay with the trigger points”, as I often like to say. Remember that treating trigger points in fibromyalgia, as well as understanding the role of tender points, is most helpful when getting any kind of body work. Why All the Buzz about Fibromyalgia and Blood Vessels? Articles circulated around the internet for years, and many people got their hopes up that a real cure for this devastating disorder was on the way. The idea was that excess nerve fibers in the blood vessels could explain why so many fibromyalgia sufferers experience pain in their hands and/or feet. Some of the articles released claimed that the cause of fibromyalgia was discovered, but that’s not exactly the case. While it’s possible that this research could prove some connection between excess nerve fibers within blood vessels of the hands and fibromyalgia, the research stopped short of proving that connection. When one blogger followed up with two of the doctors responsible for that initial study, she discovered that additional research has been held up due to the lack of funding. While the doctors find it interesting that fibromyalgia patients have those added sensory nerve fibers in their blood vessels, they cannot say with certainty how to go about treating this one issue within fibromyalgia. Since the research has proven that fibromyalgia sufferers have these extra nerve fibers in their blood vessels, it is possible that those nerves are triggering the pain, stiffness, and fatigue that go along with fibromyalgia. It’s also possible that those blood vessels aren’t allowing blood to pass through the hands efficiently, leading to another possible cause of the pain and discomfort. Read more here for information on fibromyalgia and nerve related pain. 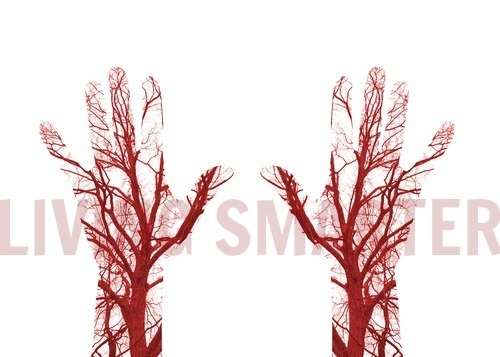 the Health of our Blood Vessels? If we know that fibromyalgia can affect our blood vessels, is there anything we can do to have a positive affect on them and therefore our symptoms? Vitamin C is great, and I recommend taking the purest additive free vitamin C , we use HealthForce C powder from raw nutrients. I also like using pure antioxidant extracts like Goji extract and Acai extract. The brand we have used for many years is from Genesis Today. Please note: it is better to be consistent, than to take a manufacture recommended amount of many supplements. If you can only afford half, or maybe you take it every other day, but you take it consistently that way, you are still one step ahead. Making your supplement regimine effective AND cost effective. Many of our dietary principles are also beneficial for the cardiovascular system. Following an anti-inflammatory diet is very helpful. Eating more whole foods is also great for the blood vessels. Vegetable juicing is another way to get raw organic nutrients into the blood stream, also supporting the health of our blood vessels. Read more here if you like on some of my suggestions for vegetable juicing. As practitioner and trainer, I also suggest fibro safe exercise. You see, when we get that blood flowing, we are protecting our blood vessels. With fibromyalgia, we have to get more creative at times in order to work with and around those more vulnerable areas of the body. Remember what I so often say. “safe and effective exercise is much different than daily activities of living that might involve cleaning, bending, stopping, starting, etc." The body was meant to move, and the body was meant to strengthen. Whatever level is right for you. Follow me on the fitness page, FibroFitPeople. What I do is more specific to fibromyalgia, arthritis and auto immune issues. Why do I specialize in fitness for fibromyalgia people? Because first of all, I get it. I have lived with it myself since a young age, now 49, I am passionate about helping anyone with fibromyalgia and its primary co-conditions to live a more active and joyful life. And, secondly, safe and effective exercise is well verified for those with fibromyalgia. The key is doing it in a way that work with you and not against you, that is exactly why I do this. This is also important for heart health. 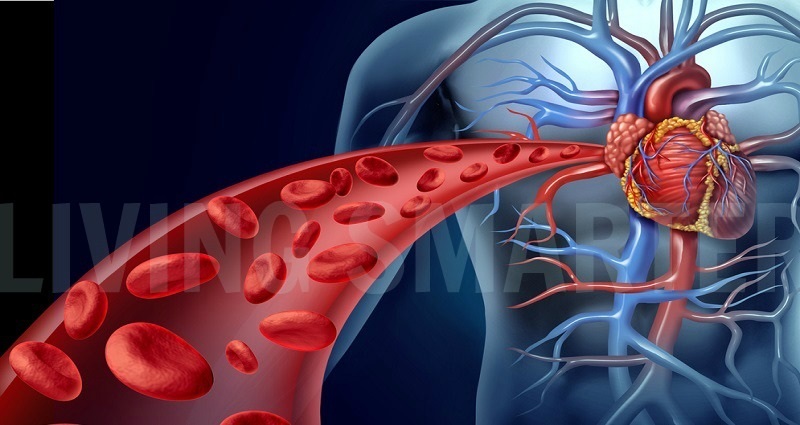 Blood vessel health directly affects the heart and healthy blood flow. Just like we strengthen our muscles, bones, tendons, and ligaments, we must also think about the strength and integrity of our blood vessels. Also remember that I work with various levels, so please don't think about exercise in the conventional sense if that tends to turn you off to it. Protecting our blood vessels while getting more oxygen to our blood is always a good thing.